*Authorized Medallion Cabinetry Dealer* Cabinet-S-Top is a well-established, award-winning kitchen and bath remodeling company that has been serving Northeast Ohio for over 28 years. Come in and meet with our experienced professionals who are skilled at design, space planning, product selection and installation. We offer a time-saving, no-hassle experience that guides you through the details to make informed decisions. 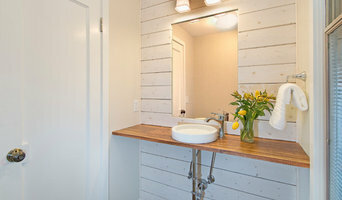 Simplifying Remodeling….it’s what we do! Cleveland's only National award winning design and remodel firm. Visit our website www.artisticreno.com to view more before and after photos. Artistic Renovations provide our homeowners with the highest quality craftsmanship for Additions, Historical renovations, kitchen design, bathroom design, interior renovations, exterior renovations, complete whole house renovations and even help homeowners that are looking for a home. We can help in preparing a budget to convert any house into thier dream home. Each project is designed around the homeowner's life style. Our craftsmen love what they do and it shows in the wonderful projects and our clients love the results. Call to schedule a no-obligation, in -home consultation. Harmoni Designs. It’s a simple concept, really. It’s the Danish word for harmony. And harmony is exactly what we strive for when designing spaces for our clients to live & work in. Harmony at home, at work and at play. Harmony with self, with community and with the planet. Why Danish, you might ask? Martin Johannessen, president & founder of Harmoni Designs, was born, raised and received his initial professional training in Denmark. He earned his Constructing Architect degree there before becoming a registered NCARB Certified Architect in the U.S. Whether it’s a new home build or an existing structure needing a re-design, we create inviting spaces that put you and your family in a harmonious environment that compliments your lifestyle – all while maintaining a respectful awareness of the surrounding natural space. We strive for sustainable, eco-friendly building options that are healthier for us all in the long term. Being green is not simply about energy savings; it’s about having a healthy place to live & work, to harness your own potential creativity and productivity! A master carpenter, Martin's training in old world styles produces cabinetry work that is built to last – a trait many of us envy about our parents’ generations of quality products. We use natural materials, much of it hard woods, that create a sense of quality, durability and a design sensibility that speaks to our desire for beauty from natural elements. We’ll choose walnut or beech over particle-board any day, thank you. Harmoni Designs provides a diverse range of architectural, interior design & construction management services, for both residential & commercial projects. But it’s no secret that Martin’s defining signature style is Danish Contemporary. To be clear, this is not the look of your grandparents’ 1970’s wood-paneled rec room. The style traces its inspiration from the organic architecture of Frank Lloyd Wright’s early prairie houses as well as influences from Japanese architecture – both channeling the fluidity of nature between the interior and exterior of everyday spaces. Danish Contemporary design blends natural light and dark woods to create dramatic, breath-taking internal spaces. The designs often allow for natural light and enhance the beauty of natural surroundings to bring a peaceful, calming environment to living & working spaces. Hurst Design-Build-Remodeling is an award-winning, industry leading home remodeling company with an outstanding portfolio of remodeled homes in the Greater Cleveland area of Northeast Ohio. With our unique process for design-build-remodeling, we combine innovative home design and home remodeling solutions with expert craftsmanship into one seamless experience, which helps to make your home remodeling project efficient and enjoyable. No matter how large or small your project is, Hurst can ensure that no detail is overlooked. Our customers love that we work hard to make the process easy for them. We communicate well and provide a lot of color selection expertise to give you confidence that you will love the painting work. Our goal is to make it easy for you to love the way your home looks! Not only immediately when the job is done, but for years to come. We offer a four year warranty on exterior painting and a one year touch-up program on interior painting. We have a full office staff to communicate with you regarding your project and uniformed team members that work on your home. Not only will you be proud of the way your home looks, we want you to be proud of the people you had paint it! Schedule a free, no-obligation estimate today. A complete destination for all your home remodeling needs. Specializing in granite, marble, onyx, custom cabinetry, fireplaces, luxury kitchens & bathrooms, wine cellars, hardwood flooring, carpet, tile, ornamental iron, cast stone, custom furniture & accents and Sub-Zero Wolf appliances. Best of Houzz Design and Service 2013-2018, Houzz Influencer and 100,000 Houzz Saves! Live Your Best Day, Everyday. House of L is a national, award-winning architectural design firm that specializes in residential interiors. We instill everyday functionality with customized aesthetics to define how our clients want to live in their homes. Our ability to weave practicality with the moxie of uninhibited creativity allows us to design interiors that are livable and beautiful. We create purposeful spaces so you love your home and live your best day, every day. Our designs have been featured in The Wall Street Journal, Huffington Post, Lake Erie Living Magazine, Ohio Magazine, Cleveland Magazine and HGTV.com. Harlequin Design Studio is committed in earning your trust through honesty, integrity and superior customer service. Designing living spaces since 1998, our goal is to create an exciting and timeless living space customized for the individual that defines their personality, lifestyle and mood. Coming home either at the end of the day or from a long vacation should feel comforting and real. We want you to enjoy "your home" and be proud of where you live. We can help with your property whether its inside or outside projects. We specialize in Deck Construction, Paver Patios, Fences, Landscape Installations and Home Remodeling. Mike and Patty West offer free in home consultations are available by contacting the office. West Construction LLC and has been remodeling homes in the greater Cleveland area since 1979. We specialize in kitchen, bath, and basement remodeling. With client satisfaction as our primary goal, we offer a unique approach to remodeling which positions us as our clients' partners. As your partners, we will help you make tough decisions on your remodel, and our organized, proven system will alleviate any uncertainty you may have. With us, you know what to expect, and that is-- to put it simply-- excellent service and remodeling professionals who genuinely care about your home. 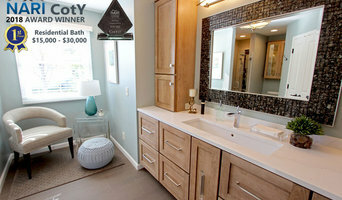 "We make home remodeling simple"
A"Best of Houzz" and Award winning , family owned & operated company. Our many satisfied customers attest to the professionalism and superior craftsmanship displayed by our team of specialists. This is a reflection of our exceptionally high standards and ability to orchestrate a plan of action from demolition to finished project. Our main objective is to offer clients the best solutions for renovations and additions. We have established dependable crews and feature personalized on site supervision Call us today to make your Home Improvement Dreams a reality.